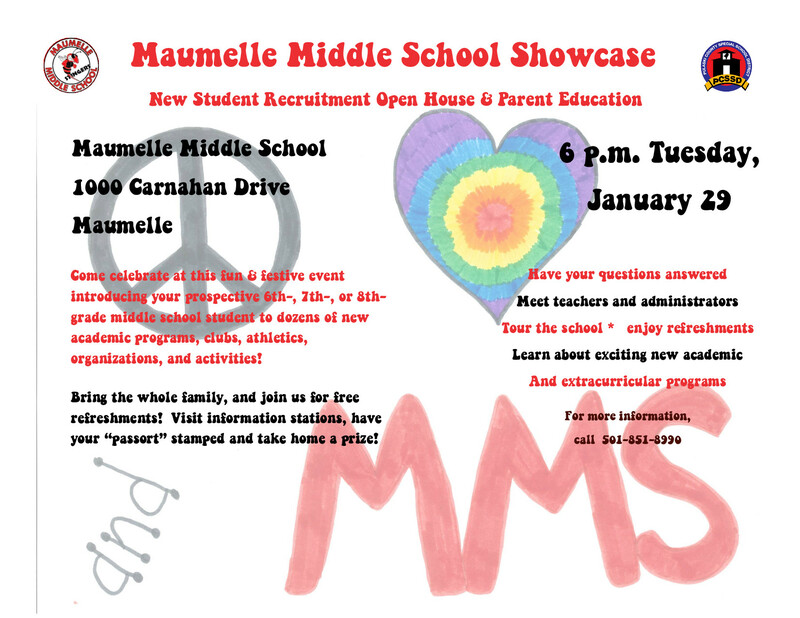 At 6 p.m. Tuesday, January 29 Maumelle Middle school will host their Maumelle MIddle Showcase and New Student Recruitment Open House. Join us for this fun, festive event introducing your prospective middle school student in sixth, seventh or eighth grade to dozens of new academic programs, clubs, athletics, organizations, and activities! Bring the whole family, and enjoy free food.